Instead of just blacking-out the "whiskers" on either side of the Fiat badge (which just makes them look like downmarket black-rubber trim), I think it would have been both cleverer and sportier-looking to turn them into actual intake openings shaped just like the original whiskers. This was the worst mopar alley at SEMA yet. They need to change it up because it just gets more and more boring. It used to be a place I would meet my friends and we would check out all the crazy car and racecars they brought. But now it has just turned into a boring thoroughfare. Just dead in there now. As far as the Fiat's, it feels like Mini came out with a new model. 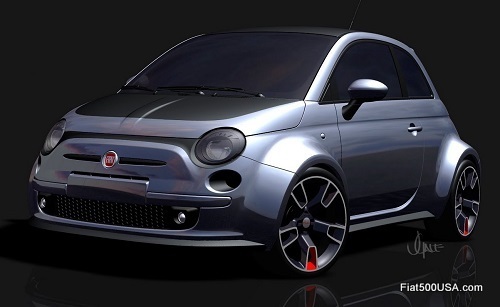 Everytime I see a Fiat 500, I could easily mistake it for a Mini. 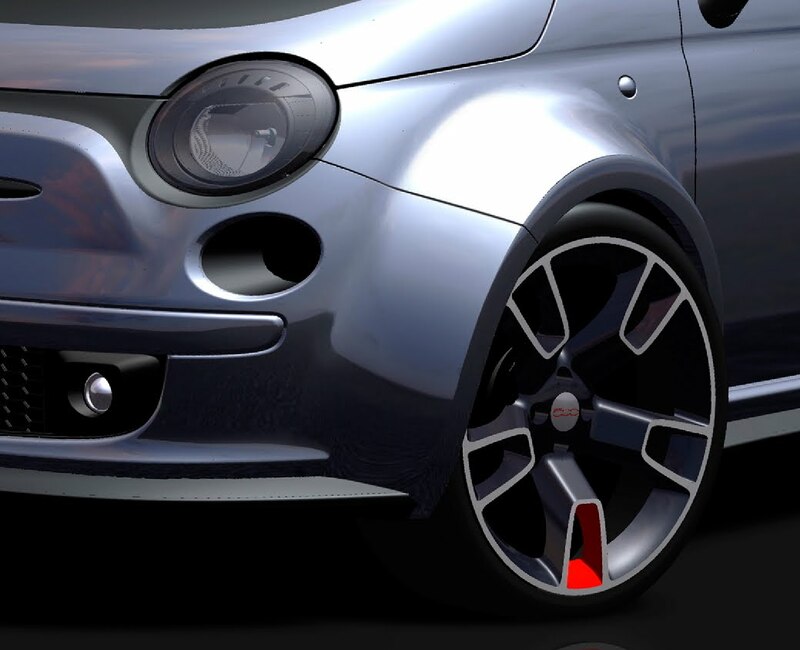 And hope this doesn't come out the wrong way, but as much as I want a new subcompact (I'm a 28 year old guy), the Fiat 500 feels like a chick car. Don't think I can get over that. Its like the car has the potential, but everytime I see it, something turns me off.